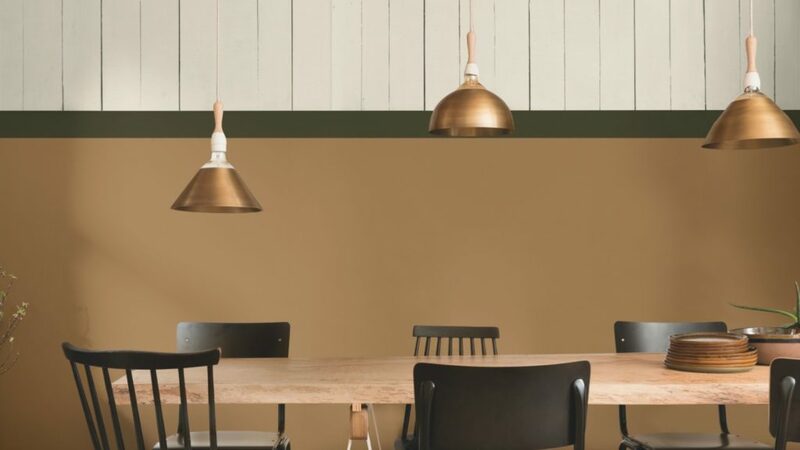 UK paint brand Dulux Trade has revealed Spiced Honey as the colour of 2019, as part of its ColourFutures palette. It succeeds Heart Wood, which was named by Dulux as the Colour of the Year, while Pantone named Ultra Violet as the colour of 2018. Now in its 13th year, the ColourFutures palette is selected to help professionals make colour and design choices for a variety of buildings including residential. It was chosen by a global panel of design professionals who researched trends, insights and consumer behaviours to determine the colour of the year. The warm amber tone of Spiced Honey captures the theme of “let the light in”. The Global Aesthetic Centre, which has been responsible for the ColourFutures trend analysis, colour research, colour design and art direction at AkzoNobel is where Dulux Colours first begin. Helen van Gent added: “When you look at how our ColourFutures palettes have evolved over the years, you can chart the fluctuations in our consumers’ appetite for different colours and spot connections with what is going on in the wider world. “For example, in 2017, when our consumers felt a need for balance and calm, the palette was dominated by cooler shades of blue and grey. “While in 2018, there was a great sense of uncertainty that was reflected in a desire for warm, comforting colours that provided our consumers with solace and refuge.